Select Printing & Signs Ltd. is a locally owned and community minded company based in Saint John, New Brunswick that has been providing results for business for nearly two decades. 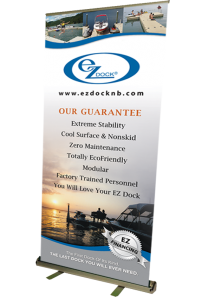 Our specialties include printing, trade show media, signage, Graphic Design and hands down best-in-class print/copy services which includes high quality customer service. Our team will work with your organization to bring your printing needs to completion and ensure your complete satisfaction. Our staff members are trained to efficiently handle each request with care, courtesy and confidentiality. Feel free to contact us to help you take your marketing and printing needs to the next level.